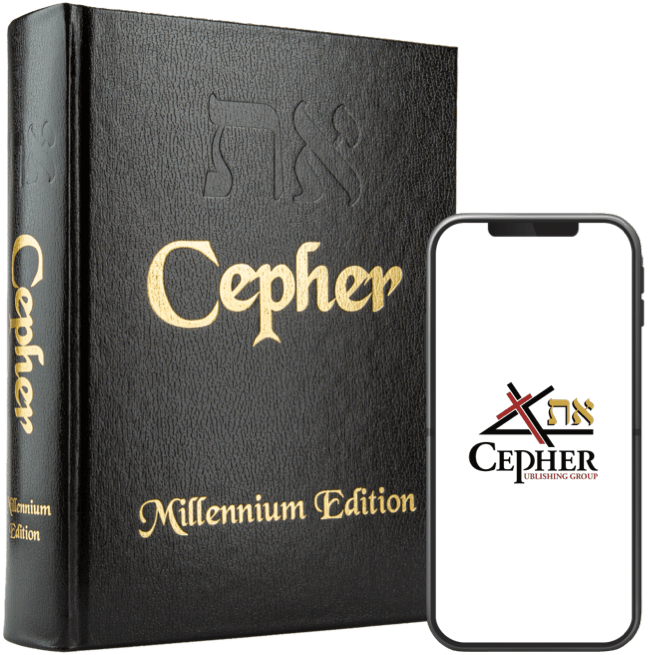 In the Eth CEPHER, we have traditionally used the word Yisra’el for the word found in the text which is spelled in the Hebrew (יִשְׂרָאֵל). However, this is soon going to change. We have elected to make this restoration in the text based on several witnesses, but let’s begin here. So, who are those which are called by his name? Of course, the first reaction is to say “the Christians, of course.” But is that true? Christ is not a name. It is a title. Strong's Greek Dictionary tells us that Χριστός Christos (Christós) simply means anointed, i.e. the Messiah (Strong’s G5547). So, Christians, at least those using that title, are not the ones called by his name. So, do we find Jesusonians? No, that isn’t there either. Yeshuans? Never heard of them. Elohiymians? No, again a title, not a name. So we start with the question: what is his name? There are really three aspects to the name of the Holy One of Yisra’el (which we will use for the time being). They are YAH, YAHUAH, and YAHUSHA. The name YAH is the name meaning: "I AM", and this name stands alone as YAH 45 times in the Tanakh, Ex 15:2; Ex 17:16; Ps 68:4; Ps 68:18; Ps 77:11; Ps 89:8; Ps 94:7; Ps 94:12; Ps 102:18; Ps 104:35; Ps 105:45; Ps 106:1; Ps 106:48; Ps 111:1; Ps 112:1; Ps 113:1; Ps 113:9; Ps 115:17; Ps 115:18; Ps 116:19; Ps 117:2; Ps 118:5; Ps 118:14; Ps 118:17; Ps 118:18; Ps 118:19; Ps 122:4; Ps 130:3; Ps 135:1; Ps 135:3; Ps 135:4; Ps 135:21; Ps 146:1; Ps 146:10; Ps 147:1; Ps 147:20; Ps 148:1; Ps 148:14; Ps 149:1; Ps 149:9; Ps 150:1; Ps 150:6; Isa 12:2; Isa 26:4; Isa 38:11. And ELOHIYM said to El-Mosheh, EHAYAH ASHER EHAYAH: And he said: Thus shall you say to the children of Yashar’el, EHAYAH has sent me to you. There are those that hold that this is the true name only. With that I take disagreement, but let’s do a little Hebrew analysis. A quick review shows that all three words begin with the letter Aleph (א), which usually is a silent letter. The three Alephs have particular meaning, however, as they signal the ultimate Godhead. (A study on the Aleph will have to wait for another time). Let us assume that in all three cases, the Aleph is a marker and not a sounded syllable. If this is the case, then we have as content something a bit different; namely hayah (היה) sher (שר) hayah (היה). Now, consider that the ha part of hayah could be the prefix ha, meaning the. We can then look at this word with the apostrophe, i.e., ha’yah. Now, let us place the glorified name in all caps: ha’YAH, meaning the I AM. Let’s take a look at this second word, often pronounced "asher" (אשׁר). Strong’s gives us this word (Strong’s H834) as meaning: who, which, what, that; also when, where, how, because, in order that, etc. As it is indeclinable, it is often accompanied by the personal pronoun expletively, used to show the connection. However, again, if we set apart the Aleph (א), we have only the word sher (שר) which doesn’t exist in the vernacular. However, this word could easily be shar (שר). Now shar means something else entirely, i.e., a head person (of any rank or class): captain (that had rule), chief (captain), general, governor, keeper, lord, master, prince, ruler, steward. (Strong’s 8269). Consider what you will about this passage (the I AM the head prince the I AM); for our purposes, we are simply trying to determine if the YAH portion of ha’YAH is the portion meaning I AM. Although we have learned that the word shar (שר) means: "prince, or head person." As we move through this question as to what is his name, we come upon the tetragrammaton, i.e., YAHUAH (יְהֹוָה). This name stands out over 7,000 times in the text, and means: "I AM he who breathes life." However, Scripture reveals itself, for we see the joining of YAH with the word shar within the text. Strong's 3477 gives us this spelling as (יָשָׁר) yashar, and tells us that the word means: "straight, just, righteous, or most upright." Strong’s 3474 tells us the word, as the root, means: "to be right, to be pleasant, or prosperous." We see the meaning however as: "YAH’S prince." We see in this word the spelling shin-resh (שר), but now with a yod preceding it (יָשָׁר). Put your thumb on this spelling, as we will return to it to unravel our mystery here. Here we see another use of this word, in this case referring to the whole of the tribes of Yisra’el (we continue with this usage for the time being) in the wilderness under Mosheh. The word is spelled in the Hebrew (יְשֻׁרוּן); that is: yod, shin, resh, vav, nun safit. We already know what the word yashar means (yod, shin, resh). However, the letter vav means the nail, and nun safit, means the seed, or in the safit usage, the ultimate seed. So Yasharun could mean YAH’S prince, the ultimate seed of the nail. Let’s get to our final word in this quest, namely the word spelled yod, shin, resh with the suffix of Aleph Lamed. Now, Aleph Lamed (אֵל) is found as the word EL, like in EL SHADDAI. Strong’s gives us the Aleph Lamed (אֵל) as meaning: strength; as adjective, mighty; especially the Almighty God. (Strong’s 410). Let’s see how this word appears in most English interpretations. יִשְׂרָאֵל Israel (Strong’s 3478) (also Yisrael or Yisrâʼêl). In this definition, Strong’s points to saraw (the root of the word shar) and EL as the root of this word. And he said: Your name shall be called no more Ya`aqov, but Yashar’el: for as a prince you have power with ELOHIYM and with men, and have prevailed. Now, let us answer our first question as to who are the people in respect of that verse which begins: if my people who are called by my name. The answer is Yashar’el; and there is no other. The name Yashar’el appears 3,548 times in the Eth CEPHER. Look at some of the blessings of Yashar'el. And ELOHIYM said to him: Your name is Ya`aqov: your name shall not be called anymore Ya`aqov, but Yashar’el shall be your name. And he called את eth-his name Yashar’el. 11 And ELOHIYM said to him, I am EL SHADDAI: be fruitful and multiply; a nation and a company of nations shall be of you, and kings shall come out of your loins; 12 And את eth-the land which I gave Avraham and Yitschaq, to you I will give it, and to your seed after you will I give את eth-the land. Interesting here that ELOHIYM says to Ya’aqov (Yashar’el) a nation and a company of nations shall be of you; for this is the blessing given to Menashsheh (a nation) and Ephrayim (a company of nations). For those of you wondering whether the prophecy concerning the kings is accurate, please consult Mattithyahu (Matthew) 1. All the names following David’s were kings. Finally, note that the land which was given to Avraham and Yitschaq, was also given to Yashar’el and his seed after him. And the Creator of all things blessed it, but he did not sanctify all peoples and nations to guard the Shabbath thereon, but Yashar’el alone: them alone he permitted to eat and drink and to guard the Shabbath thereon on the earth. And to Yahudah [Judah] he said: 'May YAHUAH give you strength and power to tread down all that hate you; a prince shall you be, you and one of your sons, over the sons of Ya`aqov; may your name and the name of your sons go forth and traverse every land and region. Then shall the other nations fear before your face, 19 And all the nations shall quake and all the peoples shall quake. In you shall be the help of Ya`aqov, and in you be found the yeshu`ah of Yashar’el. So, these are the reasons that the Eth CEPHER will be transitioning from using the word Yisra’el to the word Yashar’el.